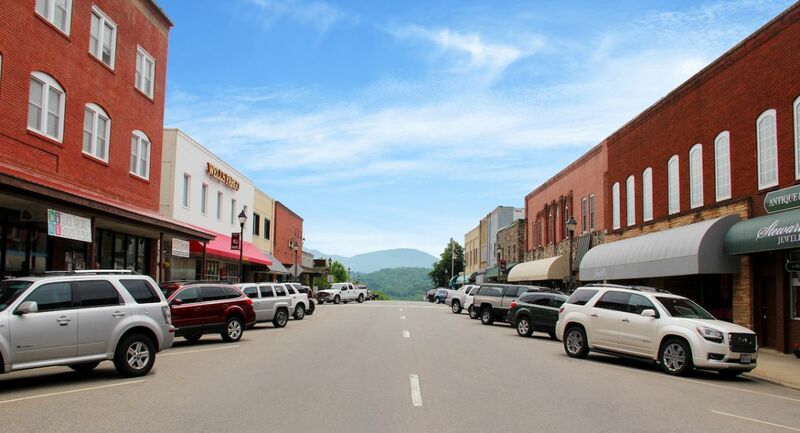 Go mining for gems, take a ghost tour, and explore scenic views of waterfalls and mountain vistas in the Great Smoky Mountains. Franklin’s gem mining heritage started almost 150 years ago, when corundum, second only to diamond in hardness, was dug up for industrial use. You can still find its precious colored variations – rubies and sapphires – at 10 local mines. Purchase a bucket of soil and take it to the metal box known as a sluice, where you’ll use water and a screen to separate gems from soil. It’s a fun process (though filled with dirt, so dress appropriately), and you keep the gems you find. But don’t despair if you come up empty-handed. You can see plenty at Franklin Gem & Mineral Museum, where admission is free, and exhibits showcase cool finds such as a 2.25-pound ruby and rocks that glow when you flip a light switch. The crown jewel of Franklin’s calendar is PumpkinFest. It has celebrated fall and family for more than 20 years, and you’re invited to join the fun downtown the third Saturday in October. Purchase pumpkins, find your favorite fair food, and browse regional arts and crafts along Main Street. The pumpkin pie-eating competition will test your appetite, and the world-famous Pumpkin Roll will rank your squash-handling skills. Kneel behind the starting blocks at the top of Phillips Street and give your pumpkin a push. Kids will enjoy face painting and roving street performers. PumpkinFest actually gets off to a running start. Begin the day on the Little Tennessee River Greenway for the Pumpkin Run 5K, which raises money for the local Habitat for Humanity. Trade your running shoes for your Halloween costume, and then enter the parade and contest. Historic Downtown Franklin hosts events year-round, including Winter Wonderland and All American 4th of July. Pickin’ on the Square fills summer Saturday evenings with music, from gospel to rock 'n’ roll. There’s plenty of shopping, too. Gear up at Outdoor 76 or browse the works of more than 50 artisans and craftspeople at North Carolina Mountain Made, where you also can purchase a Macon County Quilt Trail driving guide. Follow it to homes and barns where giant quilt blocks hang outside. You can’t be more downtown than Town Hall, and Franklin’s former one is home to Lazy Hiker Brewing Company. Its outdoor motif, including a wall-sized Appalachian Trail map, creates a relaxed atmosphere. Hiking boots aren’t required to sip its flagship Slack Pack IPA or savor the coffee notes in its Wesser Evil Porter. You’ll find recently opened Currahee Brewing Company across town. It offers river views every day and tours and tastings Saturdays. 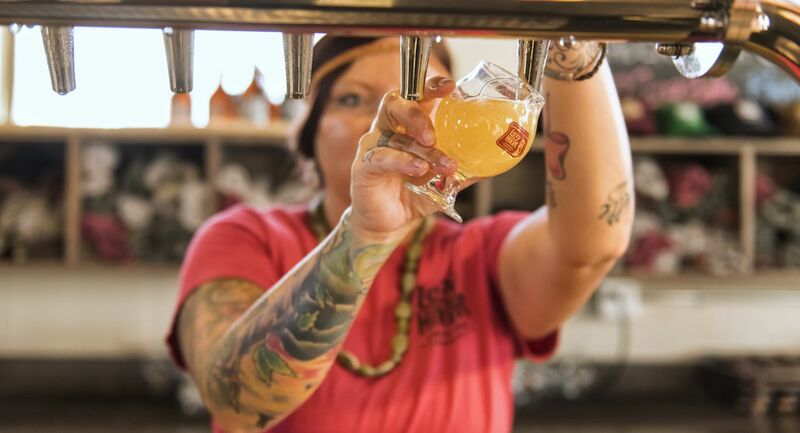 Its Wayah Lager, whose name is Cherokee for wolf, uses a blend of German and New Zealand hops and impresses expert and novice beer drinkers alike. Explore Franklin’s spooky side on a Where Shadows Walk ghost tour. The adult-only Moonshine and Murder and all-aged Woodlawn Cemetery tours involve plenty of walking, so wear sporty shoes. Ghost sightings aren’t guaranteed, but you’ll hear plenty of interesting stories from Franklin’s history. Most tours start at the Macon County Historical Museum, which has displays about its former life as the town’s commerce hub. Franklin’s lodging choices range from country inns to hotels and motels owned by national chains. Its restaurants are diverse, too. Don’t let Caffe Rel’s location – inside a gas station – dissuade you. Its dishes are varied, gourmet and priced right. Go for some good ribs and brisket at Willy's Bar-B-Que. Also catch a bite from one of several food trucks you’ll find roving around town, including A&P Roadside Eats, Mountain Fresh Grocery and Rico’s Tacos. The Mountain Waters Scenic Byway travels southeast from Franklin, following the Cullasaja River and its waterfalls. Use caution when stopping to view 250-foot-tall Cullasaja Falls because of limited parking on the narrow road. 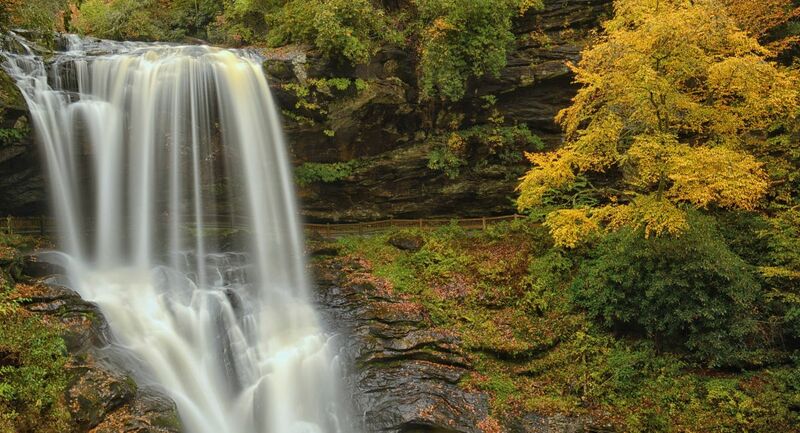 For a safer spot to gaze at colorful leaves or walk with your favorite person, head a bit down the road to easily accessible 75-foot-tall Dry Falls. The paved trail winds behind it, offering a unique view from a surprisingly dry vantage point. You won’t have to step outside your car at Bridal Veil Falls – it flows over the road. Travel the Byway in the opposite direction to Wayah Bald, a summit wiped clean by winter weather that Native Americans used as early as 300 B.C. Park your car and make the short walk to the top of Wayah Bald Lookout Tower, which stands over the intersection of the Appalachian and Bartram hiking trails. The view, which stretches to the Great Smoky Mountains and Georgia, is ablaze with oranges and yellows in fall. Then in early summer, blooming azaleas, rhododendron and wildflowers add pinks, whites and reds to plenty of greens. You’ll pass Wilson Lick Ranger Station historic site on your drive in. Stop and learn about Grady Siler, the region’s first forest ranger, and the home he shared with his wife about a century ago. This article was produced in partnership with the Town of Franklin Tourism Development Authority.